The Dolphins didn't tender Carroo a contract for 2019, making him an unrestricted free agent, Barry Jackson of the Miami Herald reports. Analysis: The Dolphins will move on from Carroo, who posted two receptions for 94 yards and one touchdown over nine games last season. The 2016 third-round pick never lived up to expectations in Miami and will work to revitalize his career elsewhere. Carroo did not bring in his only target during Sunday's 42-17 loss to the Bills. 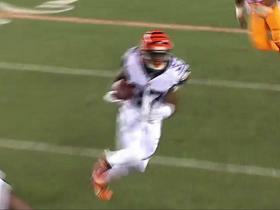 He ends the season with two receptions for 94 yards and a touchdown, along with one carry for 14 yards. 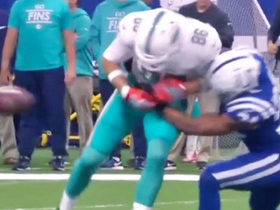 Analysis: Carroo played only one offensive snap during Miami's season finale. The former 2016 third-round pick did not make the Dolphins' active roster until Week 8 of the regular season, and he logged the majority of his snaps on special teams during the nine games he was active despite his deep-threat speed. Any hope for future production from Carroo hinges upon him earning the favor of the Dolphins' new coaching staff, which will require him to impress during offseason workouts. Carroo didn't play any snaps on offense in Sunday's 21-17 win over the Bills. Analysis: There was no reward for his 74-yard touchdown the previous week, with Carroo limited to 17 snaps on special teams. There isn't much home for future production after the 2016 third-round pick was buried behind the likes of Brice Butler and Isaiah Ford on Sunday. It's even possible Carroo could lose his roster spot if Danny Amendola (knee) returns in the coming weeks. 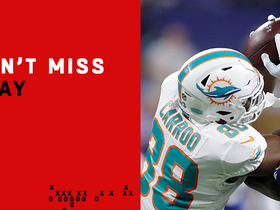 Carroo caught one of two targets for a 74-yard touchdown during Sunday's 27-24 loss to the Colts. Analysis: Carroo made the most of his only grab, jumping over a defender to snare a deep ball before coasting into the end zone. He made his first catch of the season in Week 10, and while this splashy play certainly catches the eye, considering him as a fantasy option is a bit premature. Carroo will look to build on this effort next Sunday against a tough Bills defense. 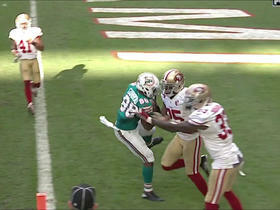 Carroo brought in his only target for 20 yards and rushed once for 14 yards during Sunday's 31-12 loss to the Packers. Analysis: Carroo received his first offensive snaps (16) of the 2018 season Week 10. With Albert Wilson (hip) on injured reserve, Carroo appears to have successfully carved out a niche role in Miami's passing attack. While it's unlikely that Carroo will achieve fantasy relevance this season, the former third-round pick's usage is worth monitoring in dynasty leagues. The Dolphins signed Carroo off their practice squad Wednesday, Adam H. Beasley of the Miami Herald reports. Analysis: He'll bolster the team's wideout depth while claiming the roster spot of Albert Wilson (hip), who was placed on injured reserve in a corresponding move. With Kenny Stills (groin) sidelined for Week 8 against the Texans, Carroo should dress as the Dolphins' No. 4 receiver Thursday behind Danny Amendola, Jakeem Grant and DeVante Parker. If the Dolphins end up parting ways with Parker before the trade deadline, Carroo could move up another spot on the depth chart. Carroo signed a contract to join the Dolphins' practice squad, Field Yates of ESPN reports. Analysis: The Leonte Carroo experiment continues in Miami after the Rutgers product went unclaimed on waivers over the weekend. Carroo was released by the Dolphins on Saturday, Cameron Wolfe of ESPN.com reports. Analysis: A 2016 third-round pick, Carroo caught 10 passes in 28 regular-season games for the Dolphins. He always seemed unlikely to stick around for another season on a Miami roster with impressive depth at wide receiver. 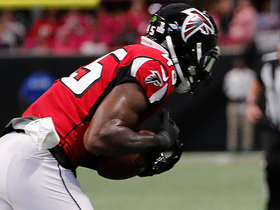 Carroo caught three of eight targets for 34 yards during Thursday's preseason finale against the Falcons. Analysis: Carroo drew the start at wide receiver but didn't make much of a case to survive Saturday's roster cuts. This is nothing new for the Louisville product, who the Dolphins traded up to select in the third round of the 2016 draft. However, Carroo at least proved to be past the groin injury that prevented him from playing in last week's exhibition against the Ravens. Carroo (groin) is in serious jeopardy of being cut, Barry Jackson of the Miami Herald reports. Analysis: Carroo's chances of making the team appear to be riding on his availability for the preseason finale Thursday. 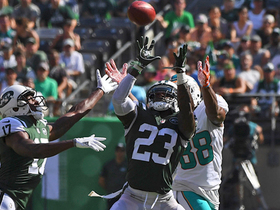 While a groin injury has limited Carroo's ability to showcase his talents, the Dolphins feel comfortable with who's currently listed ahead of him on the depth chart. As of now, it seems Carroo would need a strong performance in Thursday's contest followed by a little bit of luck if he plans on sticking around in Miami. Carroo (groin) was held out of Saturday's preseason game against the Ravens, Barry Jackson of The Miami Herald reports. Analysis: Carroo's absence from Saturday's game was no surprise after it was reported he'd miss several days with his groin injury. 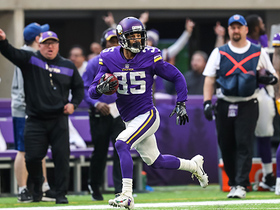 His exact return date isn't clear, but each day he misses will hurt his chances at securing a depth receiver role on the final roster. Head coach Adam Gase reportedly said that Carroo (groin) will be sidelined "a couple of days," Armando Salguero of the Miami Herald reports. Analysis: Carroo did not practice Thursday and it now seems like he'll miss the Dolphins' dress rehearsal game Saturday against the Ravens. The nature of groin injuries makes predicting a recovery timeline for them tricky. For Carroo's sake, each absence will work against him when it's time for crucial roster cutdowns. Carroo (groin) didn't participate in Thursday's practice, Adam H. Beasley of the Miami Herald reports. Analysis: It appears Carroo suffered this injury during Wednesday's practice, and his status for Saturday's preseason game against the Ravens is unclear. The 2016 third-round pick has caught 10 passes on 20 targets for 98 yards and one touchdown over his first two seasons. He's battling for a depth wideout role. Carroo (knee) has been fully cleared for the start of training camp, Armando Salguero of the Miami Herald reports. Analysis: As expected, Carroo didn't need much time to recover from a minor procedure on his knee in early June. His bigger challenge is proving that he can be useful to the team, as Miami appears to have five roster locks at wide receiver in DeVante Parker, Kenny Stills, Albert Wilson, Danny Amendola and Jakeem Grant. The situation could force Carroo, a 2016 third-round pick, to compete with a handful of players for a single spot on the 53-man roster. Carroo is slated to undergo minor knee surgery but the receiver should be back in time for training camp in July, Armando Salguero of the Miami Herald reports. Analysis: It doesn't sound like Carroo is dealing with anything serious, but he's all but guaranteed to miss next week's mini-camp -- which only delays his entrance into the competition at wide receiver. 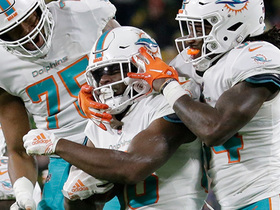 With incumbents DeVante Parker, Kenny Stills and Jakeem Grant joined this offseason by free-agent acquisitions Albert Wilson and Danny Amendola, Carroo likely needs to hold off a slew of other depth-caliber wideouts for a single roster spot in Miami. Carroo (undisclosed) likely will need to compete for a roster spot during training camp, Barry Jackson of the Miami Herald reports. 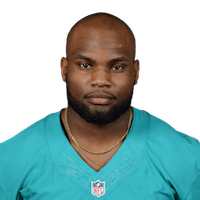 The Dolphins placed Carroo on the reserve/Non-Football Injury list Wednesday after the receiver required an emergency medical procedure Christmas Day, Barry Jackson of the Miami Herald reports. Miami Dolphins quarterback Ryan Tannehill goes deep to wide receiver Leonte Carroo for a 74-yard touchdown. Miami Dolphins wide receiver Leonte Carroo takes the snap and rushes for 20 yards on a successful fake punt attempt. 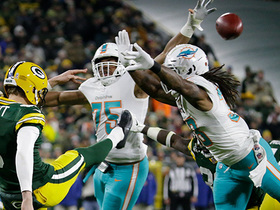 Green Bay Packers cornerback Tramon Williams fumbles the ball on a punt return and Miami Dolphins wide receiver Leonte Carroo recovers the fumble for the Dolphins. Atlanta Falcons linebacker Deion Jones intercepts Miami Dolphins quarterback Jay Cutler inside the red zone. New York Jets safety Terrence Brooks intercepts a fake punt pass by Miami Dolphins punter Matt Haack. Miami Dolphins quarterback Ryan Tannehill throws a short pass to wide receiver Leonte Carroo for a 15-yard touchdown. Miami Dolphins QB Ryan Tannehill is picked off by Cincinnati Bengals cornerback Chris Lewis-Harris.